Following dissolution of Zionist Union, Labor MKs rip party chairman Avi Gabbay, accusing him of behaving 'like a dictator'. Labor Party chairman Avi Gabbay’s sudden announcement Tuesday morning that he was dissolving his party’s partnership with the Hatnuah faction and ending the Zionist Union joint list has drawn criticism from senior party members and some Labor MKs, some of whom accused Gabbay of treating the party ‘like a dictatorship’. 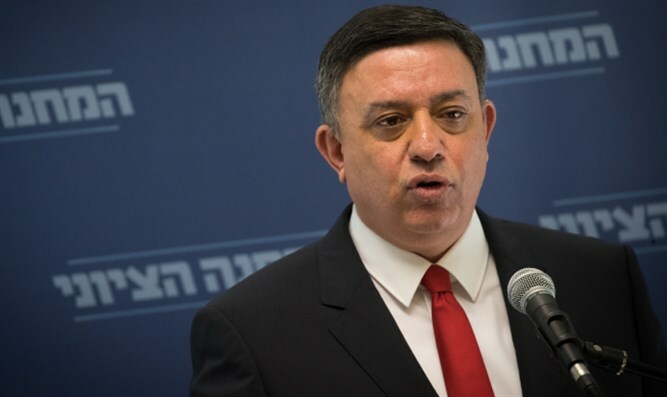 On Tuesday morning, Gabbay pulled Labor out of the Zionist Union, effectively ending the joint list formed ahead of the 2015 elections. The Labor chief gave no prior warning of the move, and had not informed Hatnuah chairwoman Tzipi Livni prior to his announcement. Livni, who was caught unprepared by the announcement as she sat next to Gabbay, quickly left the room after Gabbay spoke, declining to offer a response. Gabbay later defended the move during a meeting of Labor lawmakers, during which he attacked Livni’s behavior during her term as Leader of the Opposition. While some Labor MKs backed the breakup, saying it would open the door to a new alliance between Labor and a larger party, several lawmakers from the left-wing party excoriated Gabbay’s handling of the split, Israel Hayom report Wednesday. MK Eitan Cabel blasted Gabbay for publicly “shaming” Livni.